Google has added to GMail the ability to schedule drafted emails to be sent at specified times in the future. That's the kind of thing you could be forgiven for thinking Gmail already had, but it will likely be a welcome addition nevertheless. Also Google announced some extensions to the popular email ciient's Smart Compose feature that completes sentences for you on occasion. Google is enhancing it so it can supposedly emulate your writerly voice, meaning it can better adapt to informal ways of greeting email recipients now. It will even suggest subject lines now, according to Google. In addition to that, Smart Compose will now work in Spanish, French, Italian, and Portuguese alongside English and support Gmail for Android. 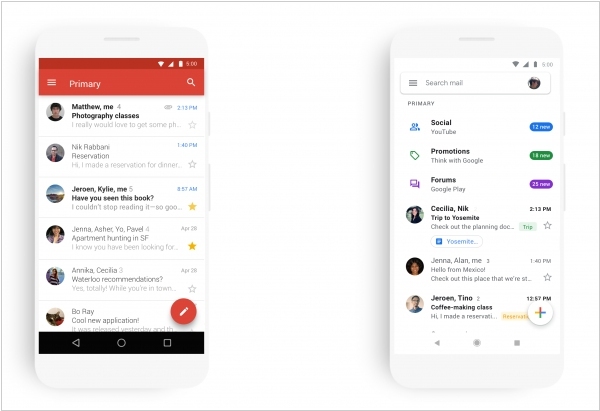 Gmail on mobile (for iOS and Android) is getting a new look that is in line with the company’s recent Material Design updates to Gmail, Drive, Calendar and Docs and Site. 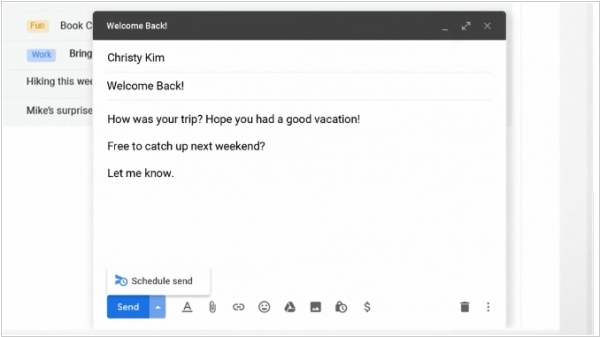 Indeed, the new UI will look familiar to anybody who has ever used the Gmail web app, including that version’s ability to select three different density styles. You’ll also see some new fonts and other visual tweaks. In terms of functionality, the mobile app is also getting a few new features that put it on par with the web version. Like on the desktop, you can now choose between the default view, as well as a comfortable and compact style. Google also notes that the new design makes it a bit easier to switch between accounts. Another nice addition to the mobile app is that the large red phishing and scam warning box from the web version now also appears in the mobile app. Many people today have more than one email account, often using one for work, another for personal. 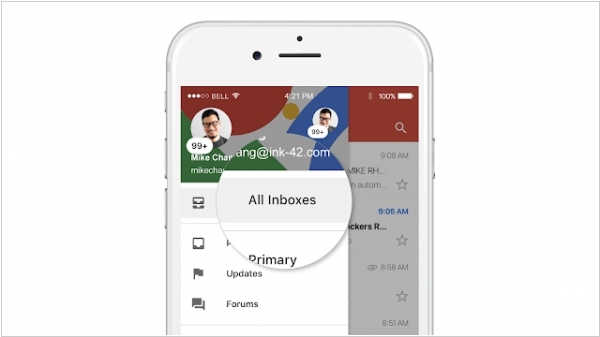 While Gmail users on Android have had the option to see multiple inboxes in a single view, iOS users – until now – have had to switch accounts by tapping between them in the app’s navigation. With today’s iOS update, there’s instead the option to use the new “All Inboxes” view from the left-hand side drawer. 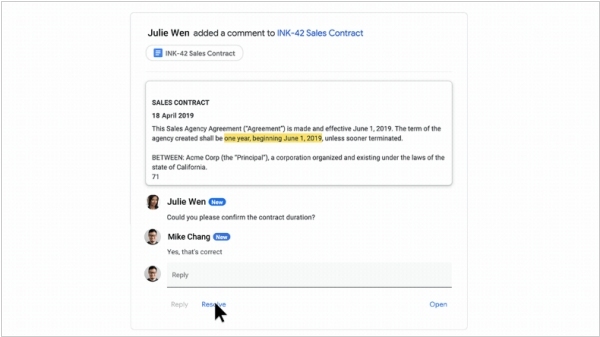 The option works with both G Suite and non-G Suite accounts, including third-party IMAP accounts, the company notes. Though a unified inbox is a seemingly minor feature, it’s the sort of thing that has driven many Gmail iOS users to third-party apps, since Gmail itself was lacking. Google officially announced that Inbox by Gmail, the company’s experimental email client for Gmail, will shut down at the end of March 2019. Google says it’s making this change to put its focus “solely on Gmail.” While that makes sense, it’s a shame to see Inbox sail into the setting sun, given that it pioneered many of the features that have now become part of the new Gmail. While the new Gmail now has most of Inbox’s features, one that is sorely missing is trip bundles. This useful feature, which automatically groups all of your flight, hotel, event and car reservations into a single bundle, is one of Inbox’s best features. 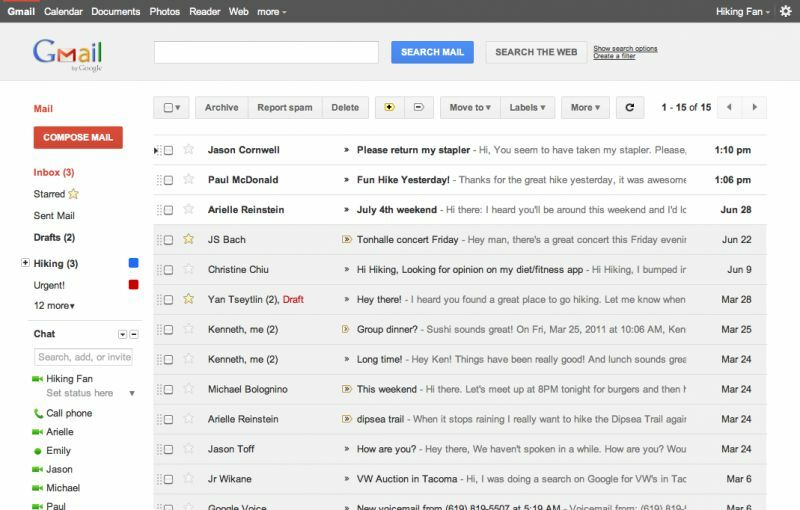 Google plans to bring this to Gmail early next year — hopefully well before Inbox shuts down.